InKhabar is the online avatar of India News which is a 24-hour Hindi language news channel in India. Its motto is “Desh Ki Dhadkan”. It is part of the ITV network. India News is amongst India’s top 3 Hindi News Channels, in the most competitive genre in the country, that too in a short span of time. 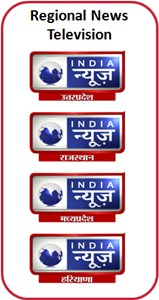 It is the fastest growing Hindi News Channel. The channel has been performing consistently for many quarters and it continues to grow. Catching early trends and pursuing them, in spite of the then popular opinion being to contrary, has helped India News get noticed in the cluttered landscape and win the trust of the Hindi News viewers. India News resonates with the Hindi news viewer because it takes up issues which matter to the common people and gets the pulse of the nation right. To practice integrity by acting and taking decisions in a manner that is fair and honest, while being Independent and neutral in our editorial policy. To respect all internal and external stakeholders while listening to multiplicity of voices and value cultural diversity and differences. To nurture ideas and dreams that spawn evolutionary and revolutionary innovations, and realizing them through judicious risk-taking. To help protect the environment and scarce resources by practicing and propagating environmentally sustainable practices and causes. To grow profitably, consistently, ethically & honestly. 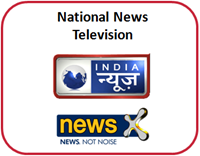 ITV Network is India’s fastest growing news network, with two national news channels, four regional news channels, two newspapers and various digital assets. It employs more than 2025 people across 25 bureaus/offices and has more than 106 live video sources. The Network has a cumulative reach of more than 100 million viewers and readers on a regular basis.